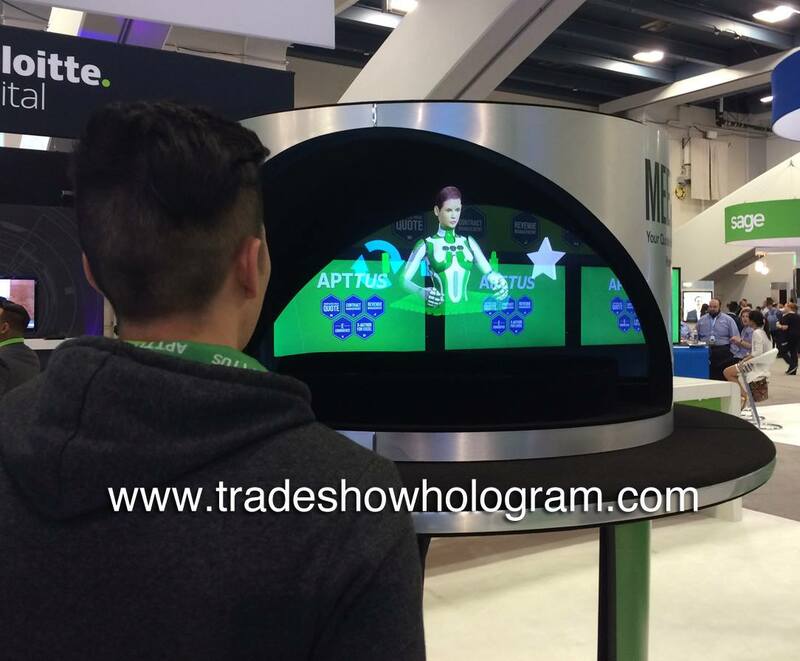 3D Holographic Projection exhibited at Dreamforce 2016 trade show in San Francisco. Visitors to Dreamforce 2016 got to Meet MAX or actually a 3D holographic representation of MAX , an artificial intelligence software. The hologram projector exhibit proved popular in attracting attention to the trade show booth and introducing MAX to the market. The holographic display is the latest design from Trade Show Hologram, a company that builds, sells and rents 3D holographic displays across the USA and Canada for trade shows and special events. The dual sided display allows for separate holographic projections to be played on either side independent of each other. It features the new Ultra Bright projection system which creates bright projections floating in mid air, even in todays bright trade show environments. Meet MAX, an artificial intelligence as a 3D Hologram Projection.